It was a WINDY and RAINY day today. The perfect kind of day to bake some cookies! They are easy and come out PERFECT!! I bet the secret ingredient is BUTTER!! That makes EVERYTHING taste better. I want to know your favorite recipe!! These half square triangles had been locked away in a bag TOO long! 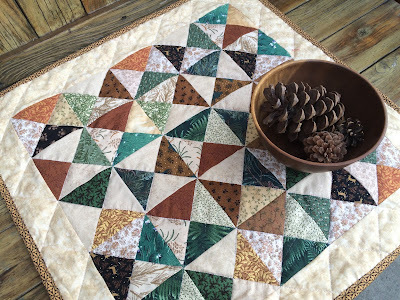 Putting them all together in this small quilt made my quilty heart glad! 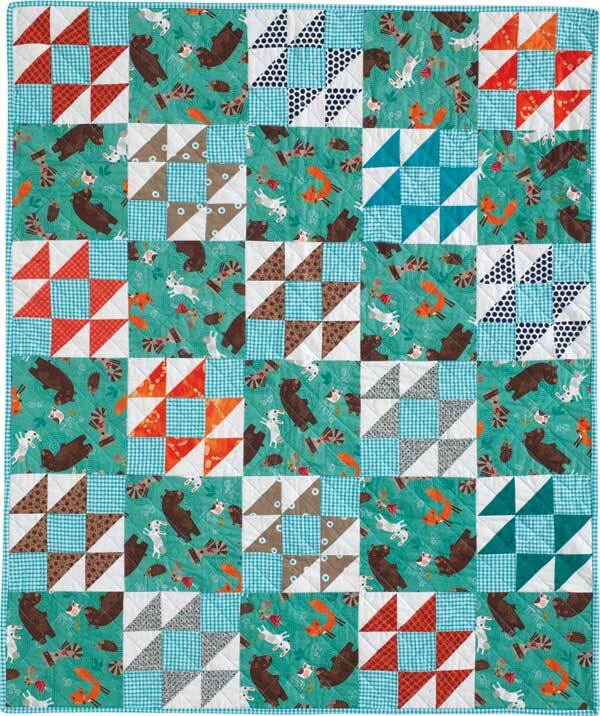 I added simple quilting lines. Quilting does NOT have to be complicated. Love the country feel of this one! and my son WEARS them!!! I was able to use some vintage red and white prints in this. but I find it hard to CUT into these precious older fabrics! Even if I don't always make it. 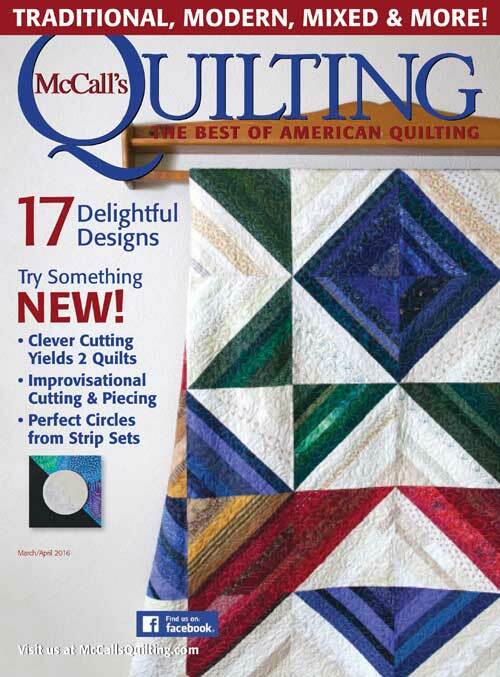 included in the most recent issue of McCall's Quilting magazine! and some fabric from my stash when designing this one. Quilting was done simply with lines going diagonally both ways. 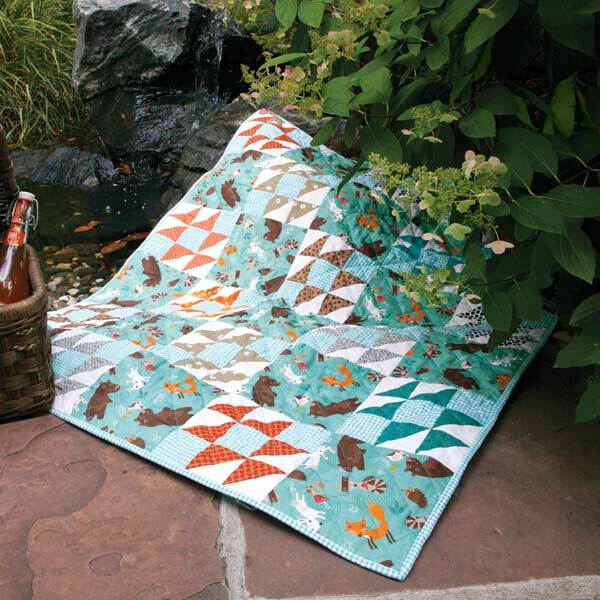 There's a video here with ALL the quilts from this issue. There are so many GREAT patterns!! and digitally on February 2, 2016. Out of four patches like this. It's sort of a twist on the disappearing 4 patch on my tutorial page. Hope you can link up and share about your creative pursuits. Bear with me as I try to set up the linky party. and hope THIS week it's SMOOTH sailing!!!! Have a Happy CREATIVE week! and it's so nice to give LIFE to orphan blocks. but I suspect that day is VERY FAR away!!! 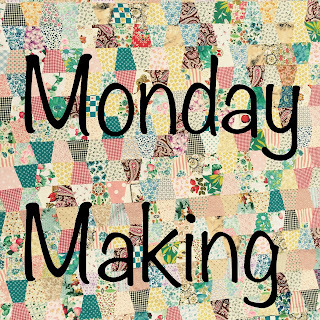 as I make these little table QUILTS. only needed a simple border with cornerstones. and my brain is BUSY as I work it all out. and follow some kind of pattern. There's a wonderful Neighborhood party going on this month and next. Head over to Hilachas blog and join in the fun!!! Maybe YOU will be the winner of 9-12 house blocks. Just the right amount to make a great quilt!!! I love the quilt that Hilachas (Irene) made with her winning blocks a couple of years ago. and are hosting the party this year. This blogland community is a wonderful place to "live". An encouraging, positive, creative community!! Aren't you glad you "live" here??? IF you are in need of some instruction. 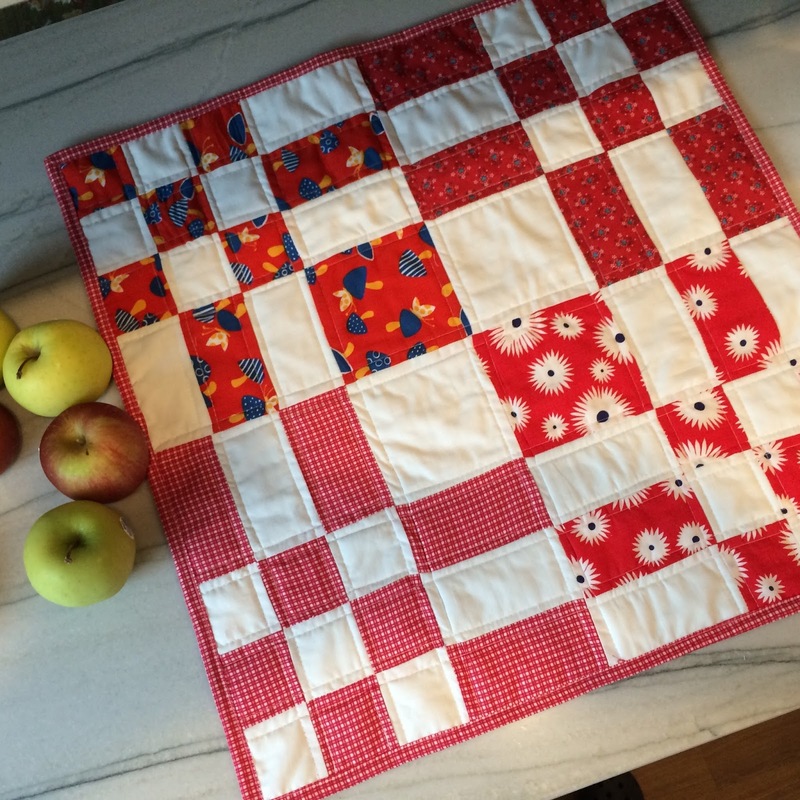 This is a BRIGHT happy quilt that I made a couple of years ago. It contains LOTS of little pieces! and plopping a little person down in the middle!!! 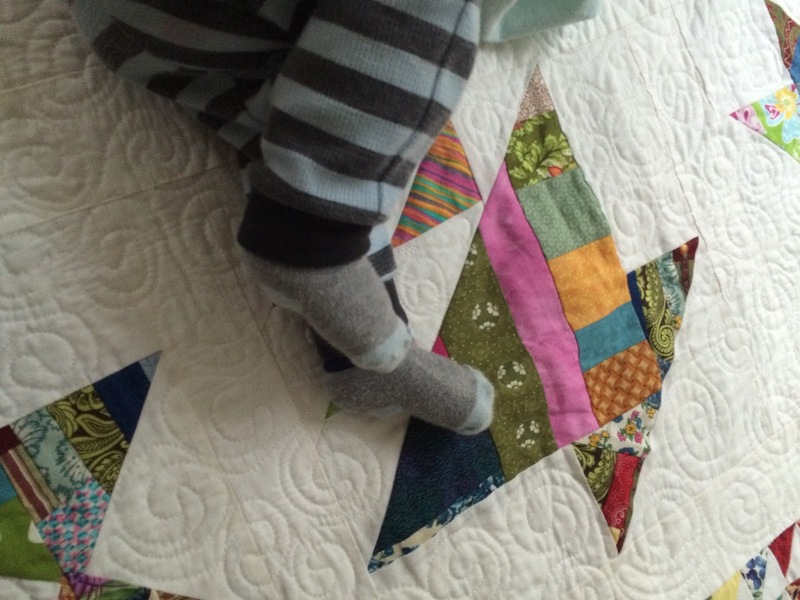 Not sure what kind of progress I'll make this week on "making stuff"
These little feet have a welcome QUILT to roll around on!!! 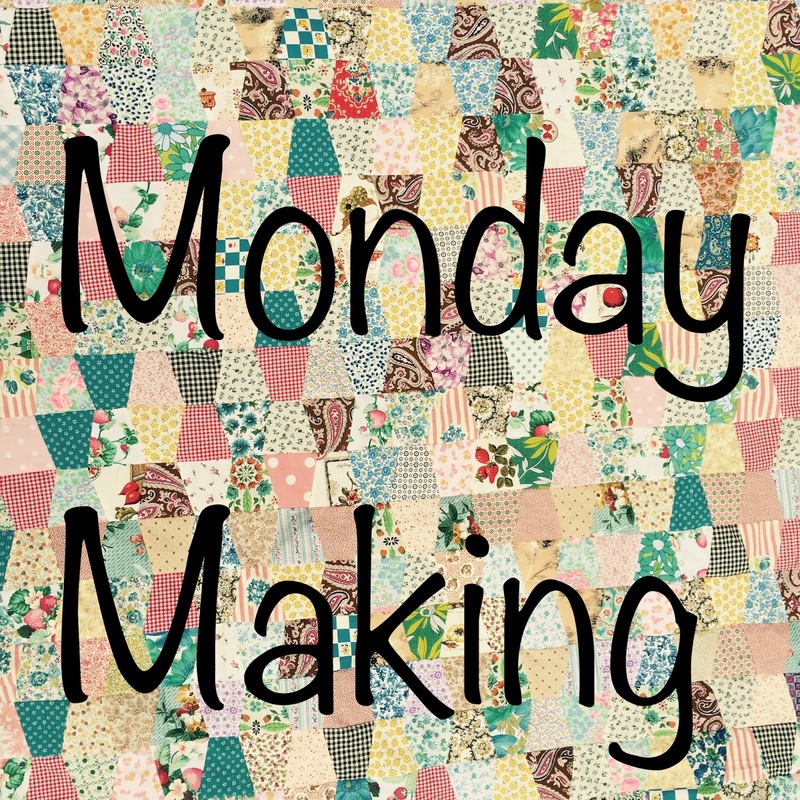 Link up and share about YOU are making! into our home for the next few weeks or months. I did a lot of hand quilting on this with white, blue and pink thread. I'm very tempted to pull out another color scheme and begin AGAIN! My new year is off to a GREAT beginning. A quilt top is complete....already!!! but it's DONE! Woo hoo! The center batik squares were gifted to me this Christmas. and the rest was in my stash. I found out that one of the graduating senior girls loves purple. and once in while I ask what colors they prefer. I'm amazed at how frequently purple is requested. I don't care for purple. I won't be wearing purple when I'm old. even if it is HEAVY on the purple. Oh....It's good to be STRETCHED once in while, right??? Does it involve a color your don't prefer? ?